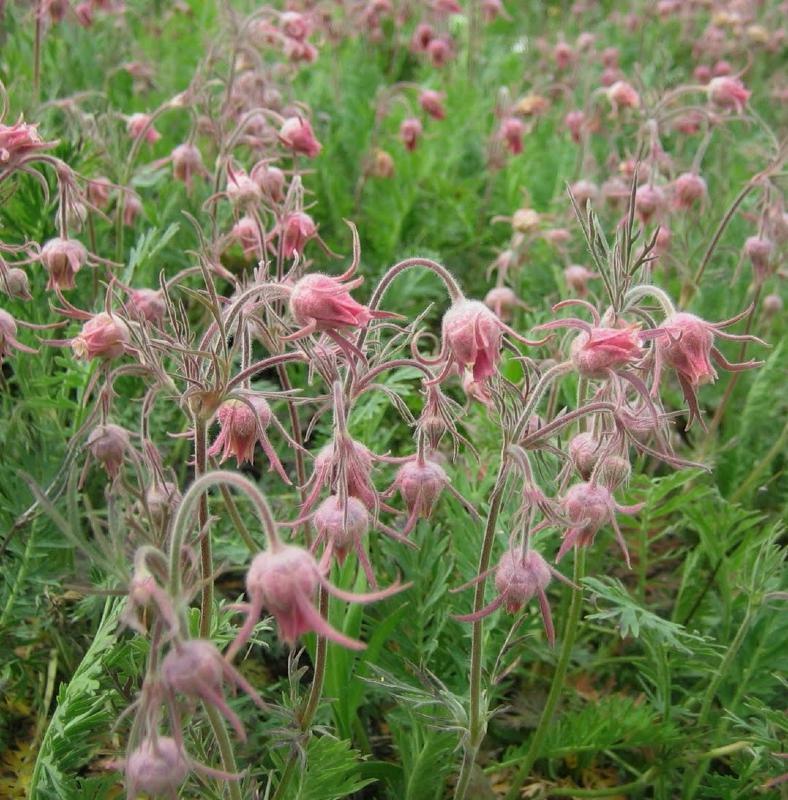 Geum triflorum is commonly known as Prairie Smoke, this is due to the gauzy effect that resembles smoke when the plant is setting seed. 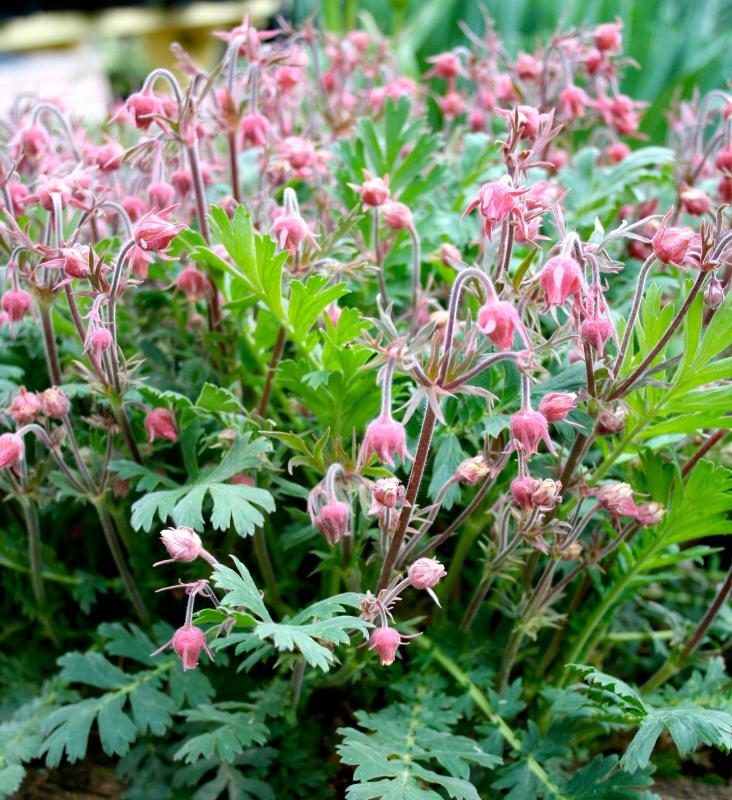 A distinct perennial with nodding purple-red flowers during April-June. The seed heads are an attractive pink, in the shape of 'Old Mans Beard' following flowering. Very hardy. Height 0.30m Supplied in a 9cm pot.